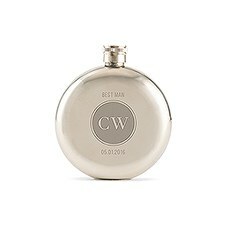 Give the gift that keeps on giving with a personalized flask from The Knot Shop. 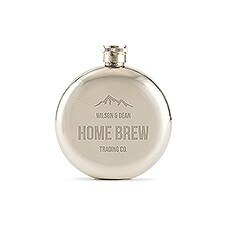 Our selection includes stylish monogram flasks for every personality, from the camper to the home-brewer. 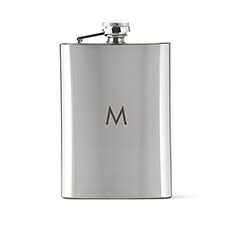 Each flask holds between 3 and 8.5 ounces of your favorite liquor or spirit, depending on which style you choose, for a convenient way to bring along a drink wherever you go. 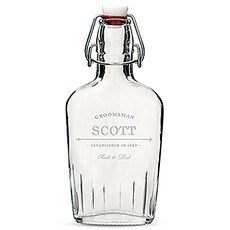 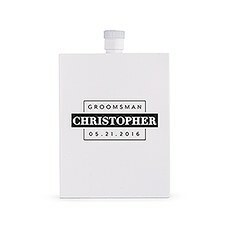 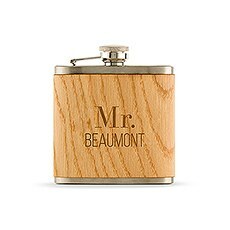 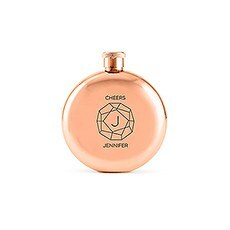 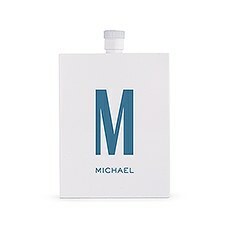 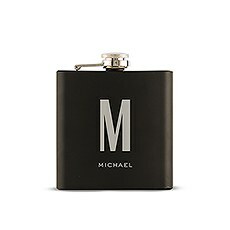 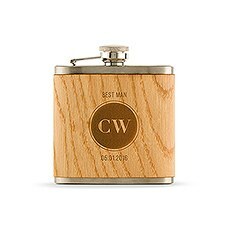 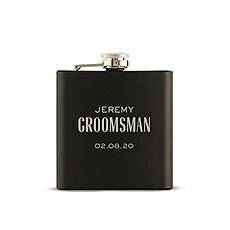 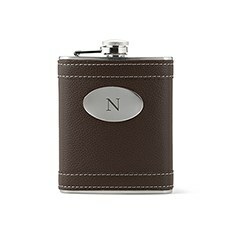 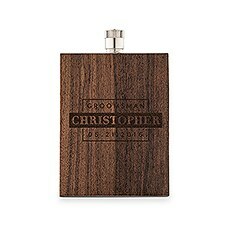 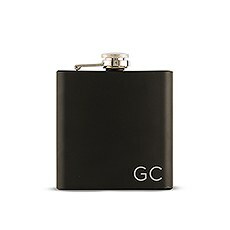 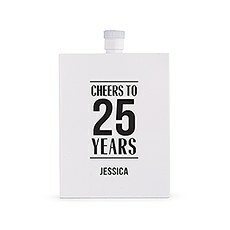 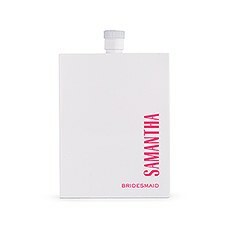 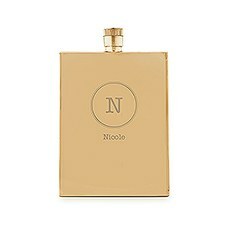 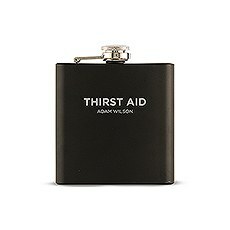 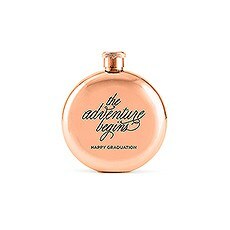 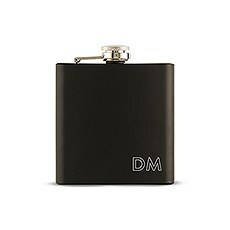 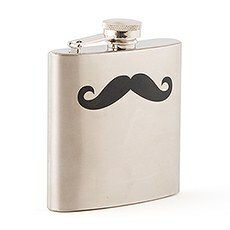 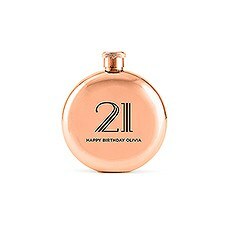 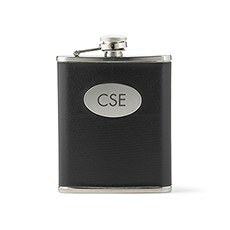 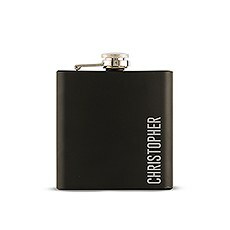 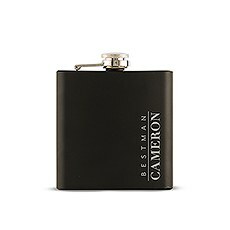 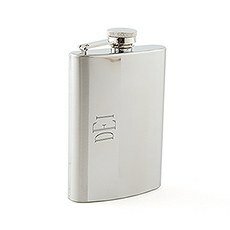 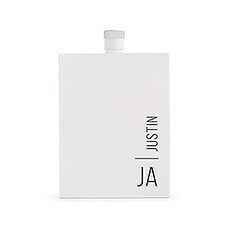 Personalized hip flasks make the perfect gift for groomsmen and bridesmaids and also make fantastic 21st birthday gifts and bachelor/bachelorette party favors.We offer personalized flasks in a huge variety of styles so you can get one that perfectly matches your recipient's personality. Explore vintage-inspired glass flasks with stopper-style top for your favorite old-school sipper and sleek oak-wrapped hip flasks with a natural, woodsy look for your closest camper. We also have contemporary all-black custom flasks and super trendy rose gold styles for the modern-day mixologist. Toss in his or her favorite bottle of booze and you've got a warming gift that couldn't be more thoughtful!